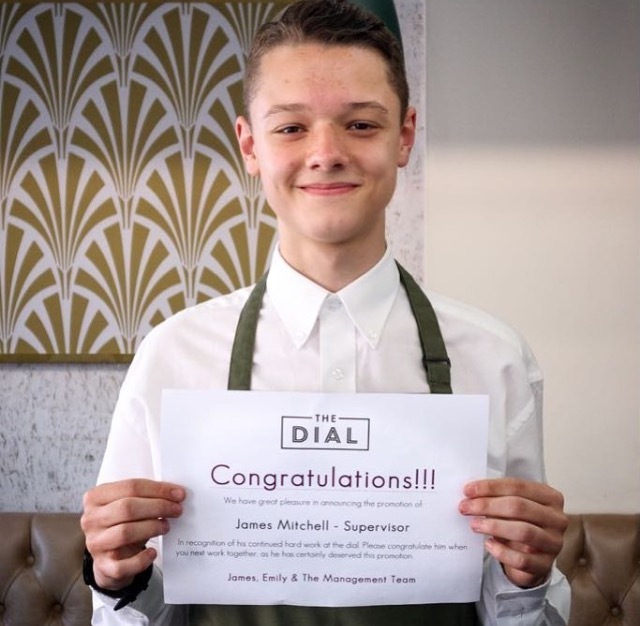 James began working at The Dial on the 3rd of August 2017. He had originally applied to work in potwash, but he ended up working in the restaurant. James took to waiting on like a duck to water and he was promoted to the position of supervisor on the 21st of April. He is one of our youngest supervisors to date! In his spare time James enjoys going to the park and the cinema.